Phase 4 of the Marvel Cinematic Universe is starting to take shape and it looks like Marvel Studios is looking to move forward in June of 2019, according to a new report. It was believed that Guardians of the Galaxy 3 was going to begin shooting in early 2019, but those plans seem to have been postponed for the time being, while they find another director to take on the project. The new report rules out the possibility of the next Guardians film taking the unnamed Phase 4 production slot that's aiming for next summer in the U.K. So, which Phase 4 movie will the studio be tackling? There have been rumors that it could very well be Doctor Strange 2, especially since there have been reports that star Benedict Cumberbatch is about to receive a major pay bump from Marvel. However, the sequel has yet to be officially announced, and has only been teased at this point by director Scott Derrickson. Doctor Strange 2, while intriguing, doesn't sound like it's going to start filming next summer. The Marvel Studios project that seems to be farthest along at this point is the standalone Black Widow movie. Cate Shortland was recently confirmed as the director of the film and it's been in development since late last year. Avengers 4 hits theaters in April of 2019, so that would mean that Scarlett Johansson could, in theory, be finished with the promotional campaign in time to start production on the standalone Black Widow movie. That would be a pretty massive undertaking, but she isn't currently the world's highest paid actress for nothing. There are also hints that the MCU Phase 4 project to begin filming next summer is The Eternals, which is currently being written by Matthew and Ryan Firpo. 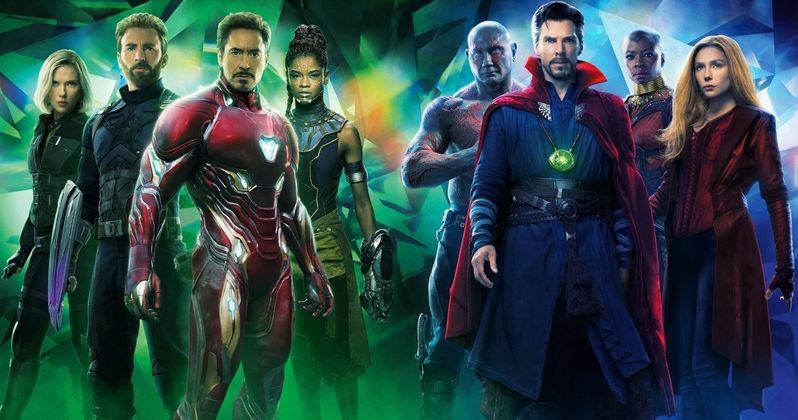 This project would fit into the cosmic theme for Phase 4 that has been talked about numerous times by Marvel Studios boss Kevin Feige and former Guardians of the Galaxy 3 director James Gunn. With that being said, a director has yet to be announced for the project and there is no word on a cast at this time either. Even though Doctor Strange 2 has yet to be formally announced, it's entirely possible that it could be the mystery Phase 4 project that is supposed to begin shooting in June of 2019. The first Doctor Strange was filmed in the U.K., which is where Spider-Man: Far From Home is currently filming. The standalone Black Widow movie seems to be the safe bet at this time, especially since the U.K. could be the perfect place to start filming and then jump to other places around Europe for the origin story. There has yet to be a confirmation from Marvel Studios in regard to the Phase 4 project that will begin production next summer. This report originated from Geeks Worldwide.